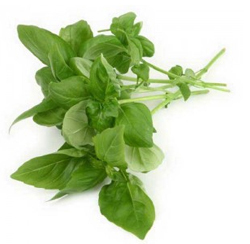 You are at:Home»Herbs»Ocimum sanctum Linn. Description :Tulsi also known as Ocimum sanctum, or holy basil, has been used medicinally in India for at least a few thousand years. Due to its reputation of improving a wide-spectrum of ailments, conditions and symptoms, tulsi is also nicknamed the “Queen of Herbs” in most regions of India. Tulsi displays many medicinal properties and is commonly used as a natural antioxidant, antimicrobial, anti-inflammatory and adaptogen. Adaptogens are substances that have the ability to reduce stress levels by boosting immune response and balancing hormone levels.